Red Bull KTM's two-time Dakar Rally winner recalls gritty 2019 victory. 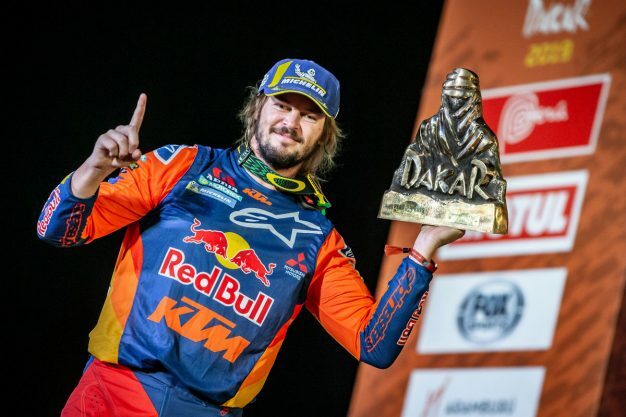 The enormity of Toby Price’s achievement in the 2019 Dakar Rally can’t be understated, overcoming a recently-broken wrist and defying the odds to capture his second victory in the gruelling Peru-based event. 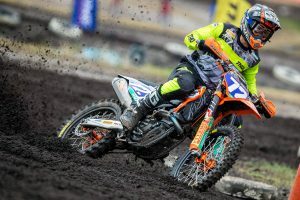 Conquering over 5000 kilometres and delivering KTM an unprecedented 18th-consecutive win, Price led teammates Mathias Walkner and Sam Sunderland across the line for a Red Bull KTM Factory Racing podium sweep. 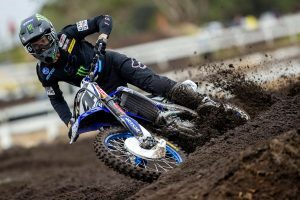 MotoOnline.com.au spoke with the incredibly laid-back 31-year-old Price to reflect upon what was one of the most deserved wins of his entire career. Definitely. Winning these big rallies is very difficult and people who have done it know just how hard it is. To start this one with an injury wasn’t the best way to be going into the race, so we’re stoked with that result and this big trophy we’ve got in our hands! When you first sustained the wrist injury in December and underwent surgery in Barcelona, did you think you’d make it to the event and, on top of that, go the distance? The expectation was that we were going to make the event, there was no doubt that we’d be taking off into the first stage. Laying in hospital in Spain, we were trying to figure out the outcome and how far I’d actually be able to go and how many stages we’d get through, but once it started, every day things just kind of came together. People would have a bad day and I’d have a good day, vice-versa, so it was all up and down. We were just trying to stay in the fight during each stage and it started to come our way a little bit more as it went on. Once we got over the hump-day, the rest day, that was pretty much a case of the point of no return. We were looking to get to the finish-line, hopefully on the podium, but to get the overall victory was off the cards and out of my mind. We’re happy to have it in our hands now, that’s for sure. The depth of riders battling for stage wins and position appeared to be really strong this year, but in the end you put yourself in good positions at the right time and it seemed as though you managed the race really well. Yeah, that’s it. 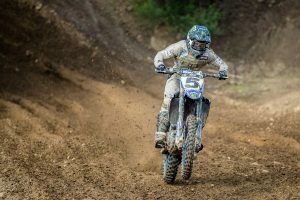 I will say that I probably didn’t have the outright speed with my wrist because I just couldn’t hang on in the best way possible to be the fastest, but it’s a long rally and I didn’t make too many big mistakes – that was the biggest card that I could’ve used and it all panned out at the end of the day. The depth of the field right now is crazy, there are probably 10 to 12 guys who could easily win the race, so to come out ahead of them was a solid effort. Hopefully next year I can start healthy and, now we’ve shown the first one wasn’t a fluke, we just want to put together another strong effort. When you hit the lead for the first time with two stages to go, interest really started to peak here. Do you see much of that while you’re over there? I don’t get to see too much of it in the remote locations, but we get a small amount of time to check things out and catch up on it all. The interest from back home, when I see that definitely provides that driving force and gives me a push-along, for sure. It definitely helps and makes things that little bit easier, so to put Australia on the top step is an amazing feeling and hopefully we can keep it up in the years to come – look to get a couple more on our hands! 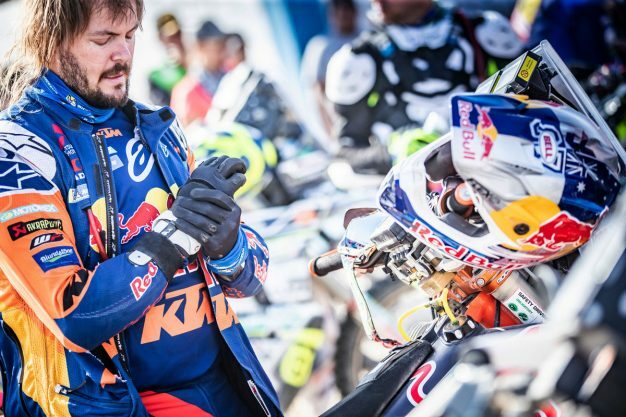 What was the mindset going into the final stage with a minor advantage on the cusp of a second Dakar win and how did it play out? That final day, I hope I never have to go through that again. To go in with a lead of 1m02s is not the position you want to be, that’s for sure. It’s nice to lead, but to have a gap would make it a lot easier and a bit cruisier, so we knew we’d be in for a fight. Unfortunately for Pablo [Quintanilla], everybody saw that crash he had, and he was giving it 100 percent, but it didn’t work out for him. I stopped and made sure he was okay, then went on from there and I knew it’s not over until you cross that finish-line. That’s what I ended up doing. Was there anything you were able to do to manage the pain through the stages at all? Not through the stages, not really. We had a doctor who was helping me with normal pain-killers that you could take, trying to keep the swelling down and remove any form of discomfort where we could. We were taping the wrist up as much as we could and I had a wrist brace, but I knew we couldn’t afford any really big hit. We did the best that we could and made it to the end of the race. You arrived back in Australia on Sunday to a great reception at Brisbane Airport, so how was that feeling? Yeah, the reception on landing in Brisbane was a day I will remember forever. It was amazing to have people show up, even some on the motorcycles giving me a salute, and it was definitely crazy! It was a bit overwhelming, but I’m so stoked to have that on my side and I will always do the best that I can for Australia. Considering the wrist, what’s coming up next for you now that you are back home? The plan is to get some scans on the wrist to see what damage we have done, then we will plan from there. Fingers crossed it’s nothing major and there are no major surgeries required, but I’d say it’ll need a bit of a clean-up. 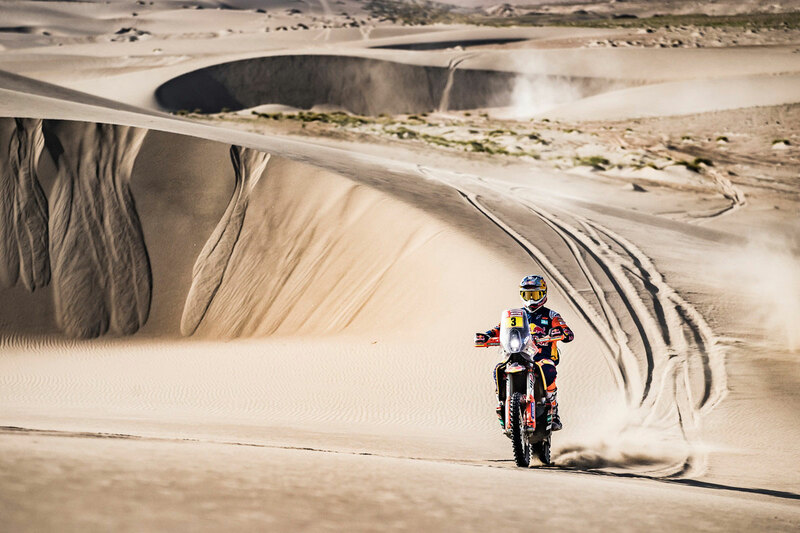 As per usual it’s going to be a busy 2019, hopefully we can back-up the world championship as well and the countdown to Dakar 2020 has already started – it never ends! It’ll be a busy year, but we’re looking forward to it and it will be a good time.